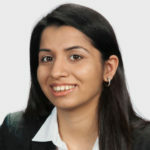 Prior to joining the JustJobs Network, Atisha Kumar worked for the World Bank in Washington, DC on private sector development, trade, competitiveness and financial inclusion. Her past research has focused on the political economy of trade and development. She holds a Master in Public Administration in International Development from the Harvard Kennedy School.